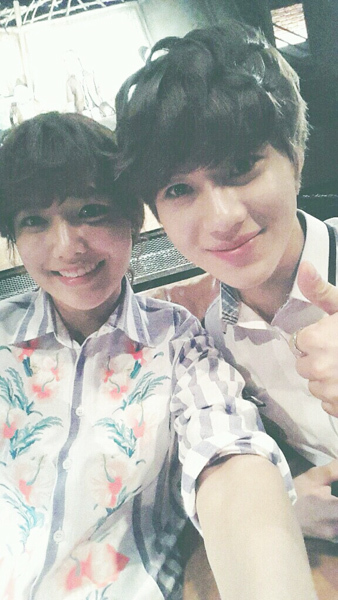 [TRANS and Pictures] 130716 [From. 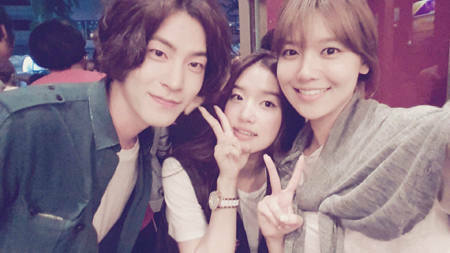 SOOYOUNG] 공깃돌민영입니당~ㅠㅅㅠ ~ smtownsnsd.com - Girls' Generation / SNSD Daily Updates! because it seems like I've received an abundance of love from everyone.. The atmosphere over here is also really joyous. The kind/friendly sunbaenims and colleagues..
Just by looking at the script, I couldn't really visualise the appearances/personas of the client and the target. Now, for the sake of meeting a new character sometime!! Together with Taeyeonie who calls me Kom Minyeong~~ (Sweet pretty girl) and Ppani who calls me Gom Inhyung~~ (Teddy bear)..
And also Seohyunie who always says Gonggitdol~ then impersonates Seobyung (male lead's nickname?) when she sees me~!! 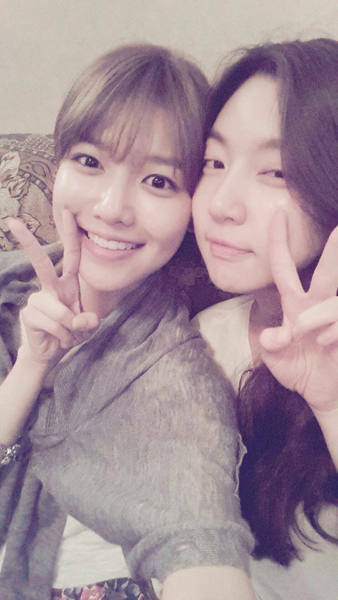 Our director is a Hyoyeon fan, assistant director is a Yuri fan~! HyoYul who found Master's restaurant very fascinating hehe cuties..
Because I said "Noona's face will come out big", he stuck his head forward, manner boy Ray..
Minyoung's best friend, Cyrano member Ahrangie!!! 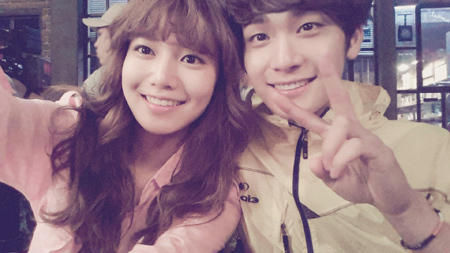 Final shooting day, SeoGong couple~!! For me too, because my counterpart was sunbaenim, I was able to understand Minyoungie ..
Manly/masculine and cool till the end, Master! 2-man collection squad's Youngdal, Mingyo orabeoni (more respectful way of saying oppa)^^!! All-round engineer with chic charms, Moojin! Lastly, for the viewers who showed so much love and for SONE~~!! Everyone, I hope you definitely try looking for it too^^! !